eaw029528 ENGLAND (1950). Muirhead and Co Ltd Electrical Engineering Works, Elmers End, 1950. This image was marked by Aerofilms Ltd for photo editing. 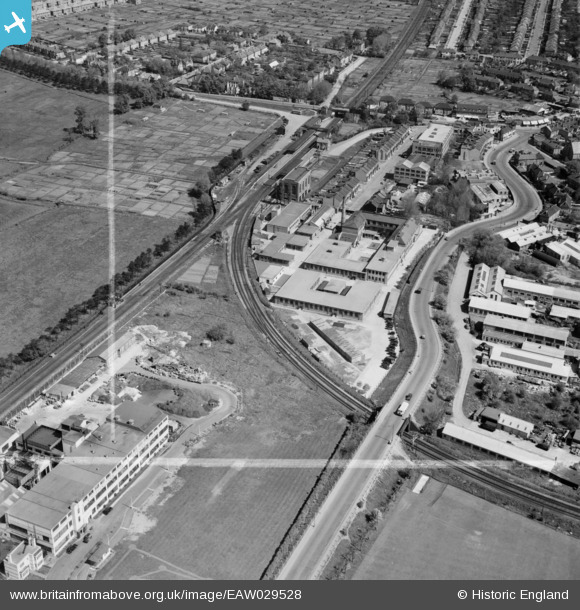 Title [EAW029528] Muirhead and Co Ltd Electrical Engineering Works, Elmers End, 1950. This image was marked by Aerofilms Ltd for photo editing. Signal at the "off or clear" for the branch line.